Hagar Hillel, daughter of Iraqi born Shlomo Hillel, former speaker of the Kneset, unfortunately died at an early age. The family has arranged to commemorate her activities with the Tel Aviv University. The Exilarch foundation was pleased to cover the entire cost of the program. Tel Aviv University, in conjunction with other institutions, is designing The Jewish Newspapers Site where visitors will be able to freely search original editions of newspapers and journals, which will be scanned using special software. At this juncture the site has copies of the Palestine Post from 1930-1950, and the Bulletin de l'Alliance Israelite Universelle from 1860-1913. Copies of the newspaper Hamagid are currently being processed and will be available on the site shortly. Given the special interest by the late Hagar Hillel in researching the Jewish press in Arab countries, it is hereby agreed that a social section will be opened as part of the aforementioned site, through the financial support of the Hillel Family, to be devoted to this topic and which will be named in Hagar's memory. In order to perpetuate her memory, the site will also include a link to pages that will have her photo, her life story, a list of her publications and a selection of her work. This memorial section of the site will be ready by the end of June 2006. With regard to newspapers and journals to be included in the site, this will depend upon their availability, copyrights, and naturally, the budget at the site's disposal. At this stage it is promised that during the first two to three years of the site's establishments copies of at least two newspapers to which Hagar devoted her research will be placed on the site: L 'Avenir and Israel (all three linguistic editions). 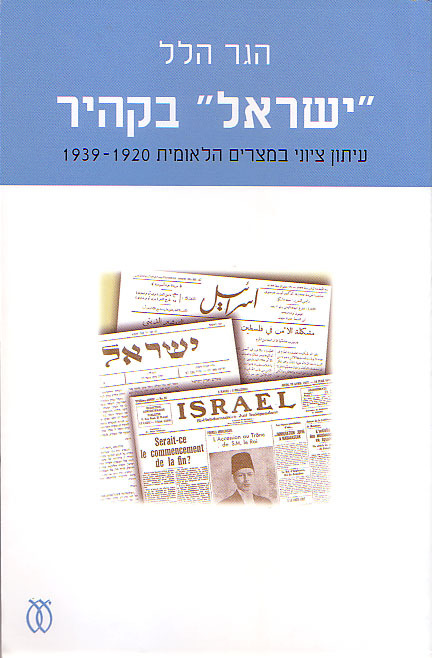 Furthermore, the staff of the Jews of Islamic Countries Archiving Project, which operates the site for Tel Aviv University, will attempt to locate additional newspapers and journals that appeared in Arab countries, or which served as newsletters for émigrés from Arab countries in Israel or throughout the Diaspora, and will try to include these on the site as well, as far as this is possible. Among the journals published in Israel, possible candidates are, for example, Hed Hamizrach and Affikim. In exchange for developing the site, the family will contribute to the JIC Archiving Project at Tel Aviv University the sum of $27,500. Provisions for transferring the contribution to the University will be decided separately. The Jewish Newspapers Site operates in conjunction with other institutions, such as the National and University Library and the Alliance Israelite Universelle Library in Paris. In the event their cooperation shall be required in order to place the newspapers on the site, this will naturally be noted on the site. Of course if, for any reason whatsoever, Tel Aviv University will stop operating the Jewish Newspaper Site and one of the aforementioned partners continues to do so, the University undertakes to transfer the newspaper scans prepared for the Hagar Site, as well as the processed results using the Olive software, to the body undertaking to continue operating the site. These agreements shall be valid upon their signature by a representative of the Hillel Family, the authorized signatory for the University, and the Chief Researcher for the JIC Archiving Project.